CAOT-BC offers a Research and Education Grant, which supports CAOT-BC members to present occupational therapy research and/or education at either the CAOT national conference or other related conferences. The Dianna Mah-Jones Memorial Grant for Innovation supports the BC occupational therapy community in best practice and innovation in direct client care. This grant was established in memory of Dianna Mah-Jones, who was a creative and tireless advocate and activist for innovation and excellence in client care. After more than 30 years in occupational therapy practice Janice Duivestein continues to be a practice innovator, leader, educator and mentor to all those she works with. She is a remarkable advocate for the practice of occupational therapy in dysphagia, advancing and leading practice initiatives and ensuring our role in this practice area is well respected. She inspires those around her to strive for best, ethical practice and most importantly, to remain focused on supporting the needs and strengths of the clients and families we serve. Stephen is a true an occupational therapy leader. For well over a decade, he has been the regional expert in trauma-informed practice, concurrent substance use disorders, and cognitive rehabilitation. In his work, Stephen is passionate about creating pathways for people to live beyond their illnesses and recover meaningful lives through individual, group, peer, and community based interventions and approaches. Read more about Stephen in the CAOT-BC blog post. Dr. Susan Forwell is a dedicated Canadian occupational therapist and scientist who has sustained an incredible commitment to her professional community since graduating with her BSc(OT) 35 years ago. Her work, both paid and unpaid, has served her clients with chronic conditions and their loved ones, as well as her students, colleagues and the interdisciplinary community. Read more about Susan in the CAOT-BC blog post. 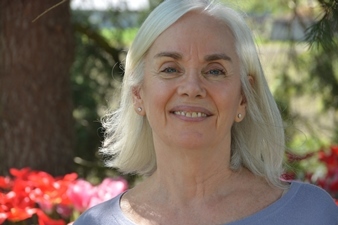 Patti Erlendson has contributed to the profession of occupational therapy through her outstanding leadership to over 400 occupational therapists in the Vancouver Coastal Health Authority. Throughout her career, Patti has demonstrated a commitment to volunteerism, interdisciplinary collaboration and life-long education, as a learner, teacher, and mentor. Read more about Patti in the CAOT-BC blog post. Dianna Mah Jones has contributed to the growth and development of occupational therapy throughout her career, including her valuable work in the GF Strong Spinal Cord Inpatient program. Dianna's passion and commitment for the profession is evident in her extensive contributions to continuing education and support of evidence-based practice. Read more about Dianna in the CAOT-BC blog post . Susan Bonney was presented with this honour due to her contributions to the profession of occupational therapy and to children with special needs and their families, Susan is nominated for the dedicated and lasting legacy of service she has given to therapists working in the BC public health care system and their clients. Read more in the CAOT-BC blog post . Sarabjeet Charchun was nominated for this award for her outstanding contributions to occupational therapy. 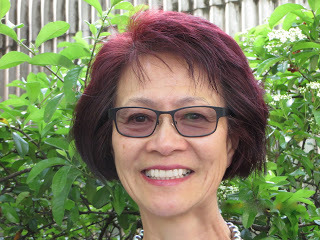 Her dedication and passion for occupational therapy shines through her work with students at the University of British Columbia, in committee leadership with provincial and national occupational therapy associations, and in her dedication to improving practice while working with the Fraser Health Authority. Read more in the CAOT-BC blog post . CanAssist helps people with physical, cognitive and mental health barriers by developing innovative technologies and programs where there are gaps in existing services. CanAssist has collaborated with CAOT and CAOT-BC to develop and launch Ability 411, a web-based service that provides practical information about assistive technologies and equipment to BC seniors, their family members and their health providers. As a result of this collaboration, all information is reviewed by an occupational therapist, affording BC seniors access to OT recommended solutions for independence. Pharmasave Broadmead has partnered with CAOT-BC to host three Talk to an OT clinics, and one CarFit event. On all occasions, Pharmasave staff have been generous hosts of CAOT-BC and occupational therapist volunteers, making every effort to provide support and ensure a successful event. As the results of the support received from Pharmasave, CAOT-BC has been able to run four health promotion events benefiting the health and well-being of local seniors and increasing public awareness of occupational therapy. Since 2015, Motion Specialties has partnered with CAOT-BC as a host venue for regional CAOT-BC Networking & Education Days. In addition to providing an in-kind venue, Motion Specialties has organized sponsorship for the event to support the costs of refreshments, audio-visual needs as well as other logistical requirements. As a result of this support, CAOT-BC has been able to target revenues from these events to public awareness activities. Roy works at Creative Mobility Products in Kelowna, and knows all the local occupational therapists, physiotherapists and nurses by name. Roy is an expert at efficiently setting up beds, lifts, poles and other equipement. If anything goes wrong, Roy is immediately on the scene to trouble-shoot, repair, replace and/or provide any service needed. Roy is a persistently grateful, humble, and dedicated employee. Arlene was presented this award for her work in both empowering First Nation communities and the profession of occupational therapy. By providing a cultural bridge and introduction into remote and rural First Nation communities, she has a truly assisted the profession of occupational therapy flourish in Northern BC. TIL is a program within the BC Association for Individualized Technology and Supports for People with Disabilities (BCITS). TIL contributes to rehabilitation by providing environmental control systems that allow people with severe physical disabilities to independently manage devices in their homes. This can include operating lights, music systems, television, telephone or doors electronically using a switch. Since 1918, CNIB has been passionately providing community-based support, knowledge and a national voice to ensure Canadians who are blind or partially sighted have the confidence, skills, and opportunities to fully participate in life. In addition to community-based services, CNIB also works hand-in-hand with Canadians who are blind or partially sighted to advocate for a barrier-free society, and strive to eliminate avoidable sight loss with world-class research and by promoting the importance of vision health through public education. 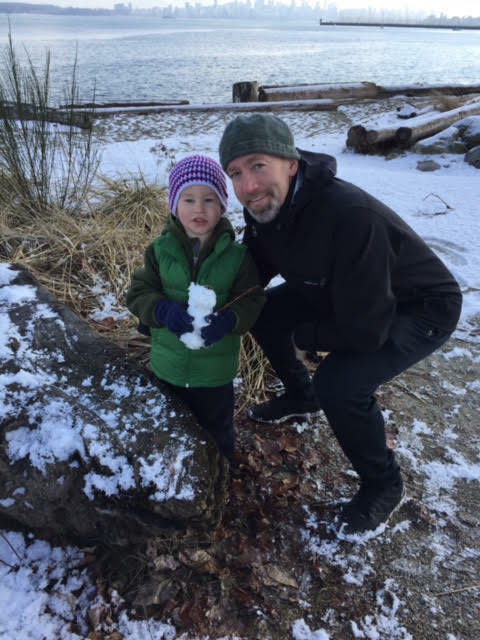 Matthew Scott is a social worker and the Clinical Specialist for Vulnerable and Incapable Adults for Island Health Authority - he leads many initiatives to ensure protection and care for our most vulnerable adults. Mathew lives and breathes teamwork and ensures that clinicians know the important work of investigating abuse, neglect, or self-neglect and/or assessing a person for capability to make personal or financial decisions must be done as a team. For over 35 years, the Disability Alliance of BC staff and volunteers have shown their dedication to supporting people with disabilities to live with dignity, independence, and as equal and full participants in their communities. Canadian Red Cross of BC was presented this award for their multiple programs that serve to meet the needs of many BC residents requiring wheelchairs, bathroom equipment, transfer aids and other healthcare supplies. The Fraser Valley Brain Injury Association (FVBIA) is a charitable organization that has been offering support and services to people with acquired brain injuries and their families since 1997. Learn more about FVBIA at www.fvbia.org. Established in 1957, Spinal Cord Injury BC (formerly BC Paraplegic Association), helps people with spinal cord injury (and those with related physical disabilities) and their families adjust, adapt and thrive post injury by providing answers, information and unique community experiences.